Even though Valentine’s Day is long over, love is still in the air. Wedding season is right around the corner and whether you plan on being a guest or the one walking down the aisle, you’re probably struggling with the dreaded question: What am I going to wear? You can always go the conservative route with a high neckline. Or, you can opt for a non-white wedding dress that’s the color of the season. 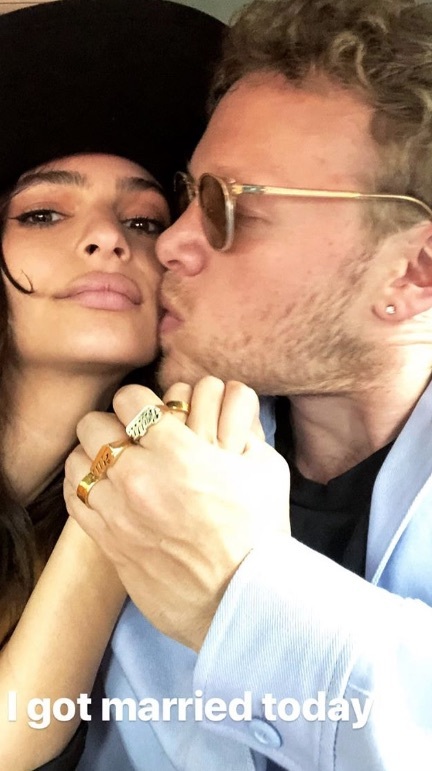 And if that’s not enough, new bride Emily Ratajkowski just served some serious bridal inspo. That’s right, the 26-year old model and actress just got married! 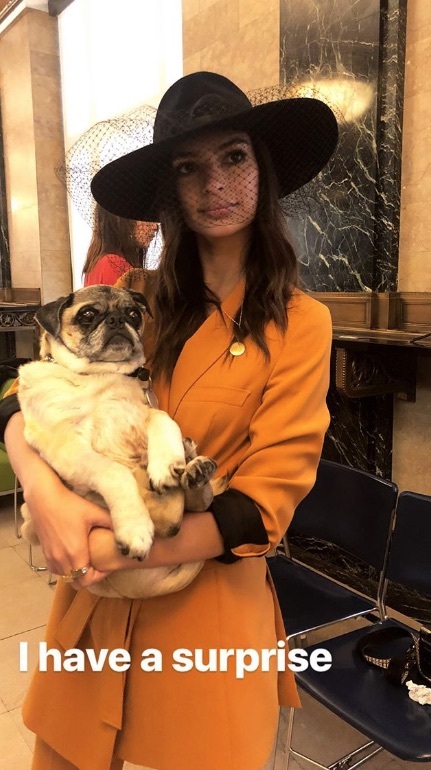 Yeah, we were as shocked as everyone when Ratajkowski wed her boyfriend of a few weeks, Sebastian Bear-McClard. The two hit City Hall in New York and had a casual but chic exchange of vows. She revealed the news on Instagram, posting a series of pics behind the scenes of the ceremony. 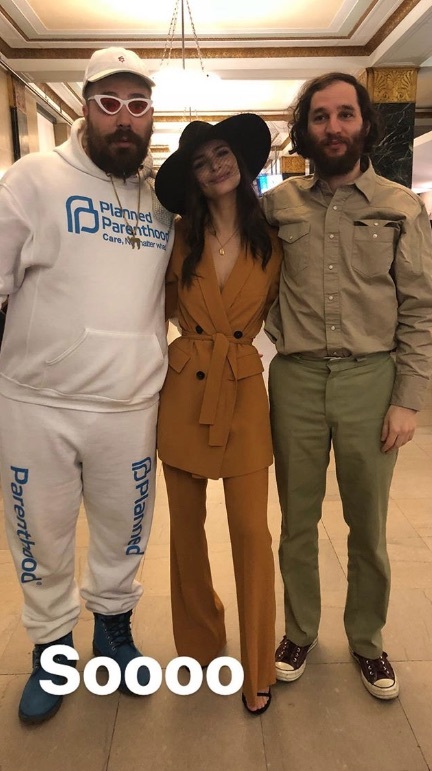 Ratajkowski posed with a few close friends and her new hubby. But can we talk about Emily Ratajkowski’s wedding dress? She didn’t actually wear a dress. Her choice of attire was just as relaxed as the City Hall setting. 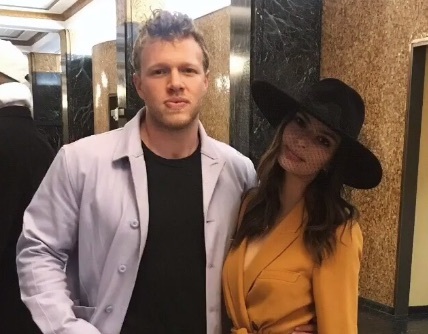 Emily Ratajkowski got married in a Zara pantsuit that just $200. And it’s still available for purchase! The black and white wedding photo she posted on Instagram made everyone go aww. But the colorful images shared on her Instagram Story had us asking: Where’d she get that gorgeous ensemble? She ditched the white dress and rocked a mustard yellow pantsuit instead. It’s no surprise the bride chose to buck the traditional white dress trend. And what’s even better, the pantsuit came straight off the racks from Zara. The long belted jacket is $130 with the matching flare trousers coming in at $70. And did we mention both items are still available? Or at least, for now. These pieces are perfect for the office, brunch, or hey, even a supermodel’s City Hall wedding. 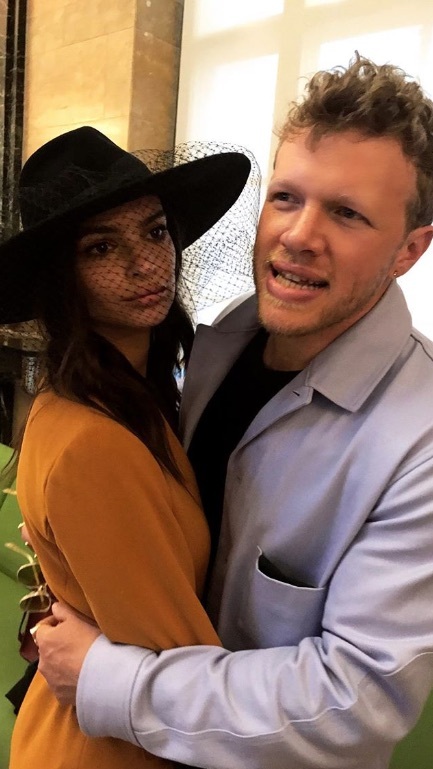 In true model form, Ratajkowski dressed up her suit with the addition of a black wide brim hat and a veil. We love a bride who embraces an individual sense of style. Congratulations, Emily and Sebastian!